Crown reduction is a special tree service process done for specific reasons. It is a pruning technique for trees that have outgrown the space they are permitted in. This happens on residential property when the tree is now covering windows, extending into a neighboring yard or maybe into a roof posing a dangerous situation if a storm should pass or a dead or dying tree could fall due to heavy limbs. Some of our most common clients are office buildings where the trees that are planted into soil holes in the concrete which are harder to remove–have overgrown their respected boundaries. Crowning and topping are similar but not exactly the same. Topping is an unpopular practice among reputable tree services like Orange County Best Tree Services. Heading is the method that you use to shrink the trunk into a stump or just to half the size of the original tree. Topping is actually lethal to a tree. This is a practice that should never happen. What happens essentially is a topping will cause profuse growth but not in the way you want or in the area you want it. When that happens it could over shade the inside branches and they could die as a result. Crowning is a healthier process that is less stress on the tree. It will encourage the right growth of branches and flowering branches. It results in a more natural appearance. It basically properly removes the end of a branch by cutting it into a crotch which is what it looks like when it’s done right. It will actually redirect the water and essential nutrients into the primary branch so that it can compensate for the cut one. This means it is going to sprout less on those branches and not overgrow. Calling us any time of year for pruning is fine but since we are the professionals–we will suggest recommended times which are very similar to tree trimming recommendations. Late in the dormant season is more recommended but not quite as far out as spring because of the sap still running from the tree. You should however, not wait to call us for an appointment in the early part of spring. You’ll know the timing is off because things will start to bloom. If your flowers are expanding then they say it is too late for pruning. Pruning at this time can stress a tree to the point of growth disruptions. This can ruin a tree for life or at least a very long cycle. When you’ve had a tree pruned–some companies or the lawn guy you asked to prune your tree will use wound paints. These are a lethal thing to a tree and we at Orange County Tree Service will not recommend you use them. The use of wound paint will diminish the tree’s ability to actually heal its own wounds. People have an idea that wound paints prevent decay and they do not. Using a tar, oil or latex house paint is more lethal because of the chemicals the paint carrier has. It will even rot the tissue around the wound in the tree. If you absolutely can’t avoid using the paint then get a commercial tree wound paint. 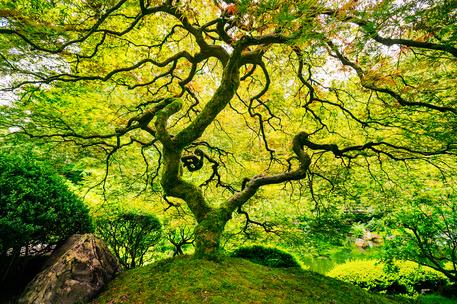 Orange County Best Tree Services knows that any wrong moves with the cut portion of a tree will result in a tree that is out of balance and may not grow correctly or die prematurely. Any scoring or shaping or any cosmetic work to the stump portion of what’s been cut will end up in bad shape. People do this not considering that the stump is still an integral part of the tree and serves a bit purpose to its growth. Pruning, like trimming is a precise art that takes precise timing. We at Orange County Best Tree Service know how to look, tell and execute what needs to be done. We don’t work on myth, we work on fact. We know the what, where and when of professional tree service.